In 2014 Reflex Marine was awarded Employer of the Year at the Cornwall Business Awards. This was after two years of coming runners up in this hotly contested category. The winning nomination came in the form of quotes from Reflex Marine employees who wrote their reasons why they believed the company deserved to win the title and what they said impressed the judging panel. 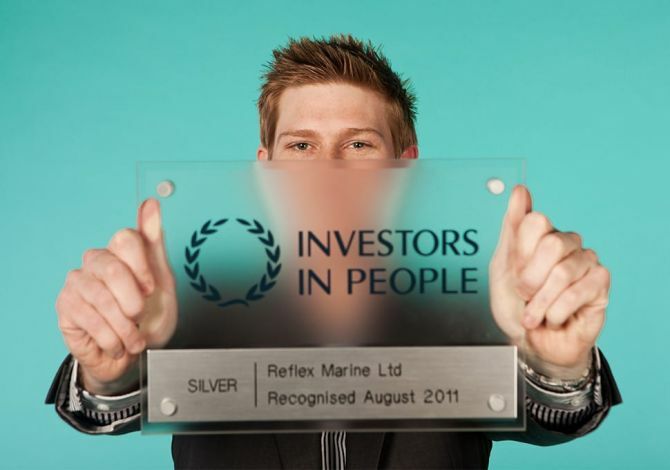 In 2011 Reflex Marine was very proud to be awarded the coveted Silver standard by Investors in People which demonstrates our commitment to developing people and creating a positive working environment for our staff. We are looking for people with integrity and initiative who work well in teams. We want people who share our values and will help us grow. We are currently working towards the Gold standard.